Mountain gorillas are found in east Africa in countries to include Uganda, Rwanda and DR.Congo. People travel from all corners of the world to trek and hike volcanoes on a gorilla safari in-order to see mountain gorillas. There are slightly over 700 mountain gorillas left in the world and they all live near the virunga mountain ranges of east Africa. Uganda is known to be home to over half of the worlds remaining mountain gorillas and these inhabit the forests of Bwindi and Mgahinga national park. The rest of the gorillas are shared amongst the volcanoes national park of Rwanda and virunga national park of DR.Congo. There are a number of safaris that you can take on to visit the gorillas in their natural habitat. Below are some of the sample safaris ranging from 1 Day trips to over 20 days trips. 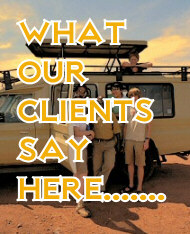 Before you make a decision about a gorilla trekking safari these are some of the questions and run through your mind. We have provided answers to some of the most commonly asked questions. Best time to see mountain gorillas? 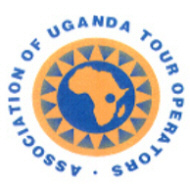 You can do a gorilla safari in all the three countries that is Uganda, Rwanda and DR.Congo anytime of the year. However some people prefer to travel to these countries during the drier months of the year when these countries receive less Rain. That is during June to September and December to Mid March. During the months of mid march to May and October to November all of these countries receive rainfall. However when it rains, it rains for just 2 hours and stops to shine the rest of the day. Please note that the rains will not stop you from trekking the gorillas. The major reason why carrying a rain coat is mandatory all year round. Best country or place to see mountain gorillas? Yes it is possible to do a gorilla tour and see gorillas in all the three countries that is Uganda, Rwanda and DR.Congo. However we can not tell you or advise you about the best country to see gorillas. This is because since they are all mountain gorillas they are the same and the difference is brought about by other factors to include time, hiking abilities of an individual and also price. All countries are good and you can do a gorilla safari in any of them. Gorilla tracking for some of the gorilla groups in Uganda is strenuous and therefore if you are not physically fit you have to mention this to your guide. Such that you are allocated a group that is closer. In Rwanda, gorilla trekking trip can be done within a day however you have to note that this is tiring as it requires waking up in the wee hours. How much are gorilla permits in Rwanda, Uganda and DR.Congo? In DR.Congo the gorilla permit costs USD 400 whereas in Uganda the gorilla permit costs USD 600 and in Rwanda the gorilla permits costs USD 1500. The gorilla permit fees just allow you to enter the park and track gorillas however this does not include accommodation and transportation to the starting point. During the months of April, May and November the gorilla permits in Uganda are at a discounted fee of USD 450 and this also applies to accommodations Therefore price wise this would be the best time to see gorillas in Uganda. Rwanda has also introduced VIP / Private trekking, where by youa re allowed to trek a gorilla family privately adn this will cost USD 15,000 per group. Are you guaranteed to see gorillas on a gorilla safari? Due to un-avoidable reasons we can-not guarantee a 100% chance of seeing the gorillas. However in our past experience we have never had a group that failed to see the gorillas. Therefore we give it a 99% chance to see the gorillas. To ensure that we watch the gorillas in there natural habitat, usually trackers set off at dawn to search for the gorillas and by the time you start the trek the gorillas trackers know where you are going. They usually stay with the gorillas following them until when you meet them to ensure that you see them to make your Gorilla safari visit worthwhile. What to carry for a gorilla tour. With the ongoing climatic changes we do receive showers even during the dry seasons. Therefore a rain coat would come in handy. Gorilla safaris involve a lot of trekking and hiking through forests therefore a long trouser and long sleeved shirt should be added to your list. To this you can also add a warm cardigan, because given the fact that these parks are hilly they are a little chilly. Hiking boots are a must carry especially since gorilla trekking holidays involves hiking steep hills. The time taken trekking before you meet gorillas varies and therefore you need to have packed lunch and thus a Water proof backpack for your drinking water, packed lunch and camera. If your bag is heavy do not worry, porters are always available at the starting points. Is there an age limit to gorilla tracking? Gorilla tour prices vary with the number of days that you spend on your holidays and also with the type of accommodation that you opt to stay in during your trip. Therefore on this note you will need to send us an inquiry via our contact form and we will advise you accordingly.